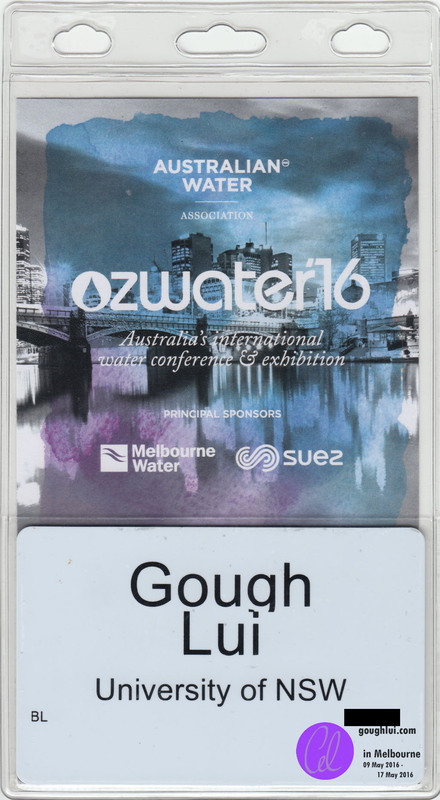 It’s been almost a month since my trip down to Melbourne for the OzWater’16 conference, and it’s taken me this long to get all my data together and partially processed so that I could start blogging about it. I suppose it’s a great time to do it, seeing as I’m awaiting reappointment with the uni and the weather in Sydney is torrential rains. What better way to use the time than to reflect on my first “real” journey down to Melbourne? The Melb2016 series of posts will all be about my time down in Melbourne, from 9th to 17th May 2016. It won’t be appealing to everybody, although as a bit of an engineer at heart, you will find some suitably nerdy things nestled in-between random observations and photos. Melbourne is the second most populous capital city in Australia, second to Sydney, and the Sydney to Melbourne flight route is amongst one of the busiest in the world. Despite the relatively short distance between the two capitals, I have never really had a chance to explore Melbourne or see the sights. The only time I had ever been to Melbourne was at the beginning of my PhD, when the WQRA sponsored a flight in and out of Melbourne on the same day to attend a scholarship interview which I was unsuccessful for. Given the hectic schedule, I didn’t even have a chance to tour the city even once, instead, focusing on making sure I wasn’t late for the interview by catching a cab in and out of the city. I wouldn’t call myself an explorer, as by nature I feel I am an introvert, but I would very much like to travel. This time, as I was attending the conference after the submission of my thesis, I was at my leisure to spend some additional time down at Melbourne as I was free of stressful deadlines to meet, so I could do some exploration of my own and decompress. This was an ideal opportunity as well, to hit two birds with one stone by utilizing my university funding to cover as much of the trip as possible while also traveling economically to make the most of the limited funding available. 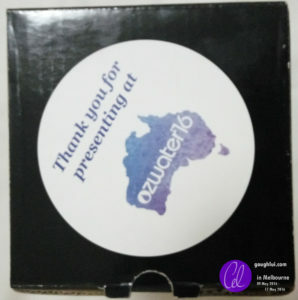 While the conference was technically from 10th to 12th May, as a presenter, I needed to get there on the 9th to do some speakers’ preparation on site. As it turned out, flights on Fridays, Saturdays, Sundays and Mondays were mostly expensive, so I figured a return on the following Tuesday would save enough money to offset almost a nights’ worth of accommodation that it would be worth it just to get an extra night. I had already prior sorted out all the conference registrations, so that wasn’t a problem. The next step was to get the flights sorted, and this was where some thrifty thinking helped me save some money. As it turns out, Jetstar has a price-beat guarantee policy, and Tiger Airways also operates the Sydney to Melbourne route, often undercutting their competition. Because Tiger Airways has relatively lacklustre feedback regarding their reliability, I would rather fly Jetstar any-day, so I took advantage of this and saved about AU$30. Instead of booking their combo with seat selection and in-flight meal vouchers for twice the price, I booked checked baggage (20kg each way) separately which saved some money as well. 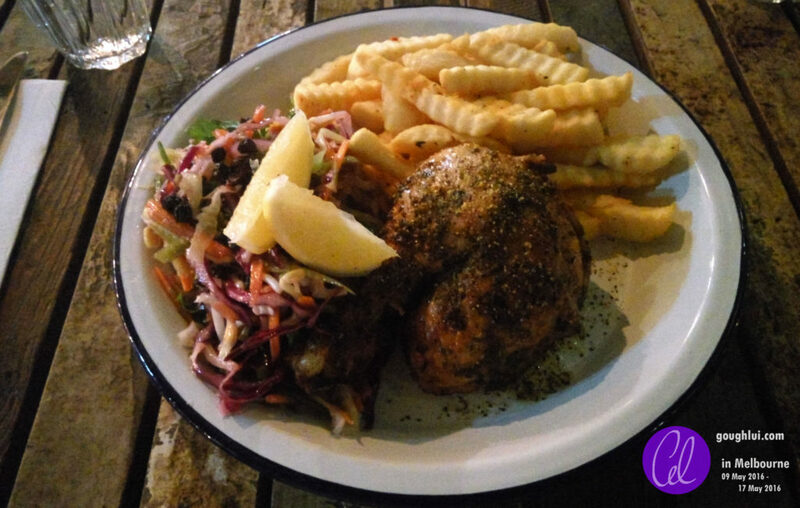 When it came to accommodation, it was a bit of a rush job to find something close to the venue (within walking distance if all should go wrong) and economical, so I settled on the Ibis Budget Melbourne CBD, which was very well located. More about that one in a future posting. All that was left, after preparing for the oral presentation, was to pack my bags. This was a dilemma, as I had a 20kg allowance which I thought was plenty but turned out to be not quite enough for the amount of stuff I wanted to bring in terms of tech. As a result, a few things got left behind at home, which was not a great loss, but I would have preferred to have it with me. In the end, I had a carry on that weighed 7.00kg and a checked-baggage at 20.60kg, making full use of both allowances. If I look a little bit dazed in the above photo, that’s because I had a morning flight to catch, and I virtually never take selfies. But hey, why not try something new? It was early in the cold morning on the platform of Padstow station, and I was ready to catch the Airport line train to Domestic station (and consequently, pay the expensive station access fee). I was determined not to be late, so 6:14am and I’m already on the platform for an 8:25am flight. 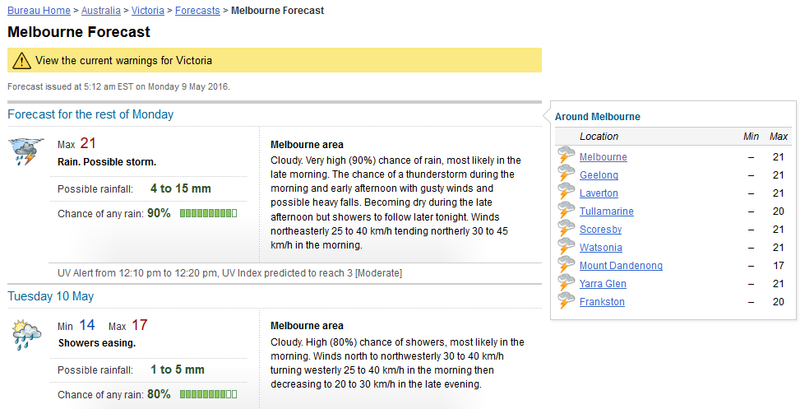 … not any better, said the Bureau of Meteorology. This was not a surprise given the low pressure trough system that was pretty much hugging the East coast of Australia, sort of like the one hitting Sydney and Queensland right now. Just my luck. we were pushed back to a 9:00am departure. A delay of 35 minutes on the ground at Sydney. Even though it said Gate Open at 8:13am, the gate was not open and people were getting a little twitchy, especially the Chinese tourists who couldn’t help but keep pushing into a well-formed queue. Eventually, the gate opened, we boarded, and the pilot told us that the delay was because Melbourne had not given clearance to the flight plan due to bad weather. Take-off was relatively uneventful, and we were soon on our way. The first three-quarters of the flight was smooth, and I managed to talk with a seat-neighbour who operates a consultancy business in regards to various things including renewable energy, and another neighbour who was an Iron Maiden fan travelling capital-to-capital to chase the tour at every venue around Australia. As soon as the seatbelt sign went off, I was straight into enjoying some of my own entertainment. This is especially easy on Jetstar seats where the seat “pocket” is actually a rigid “hutch” on the back of the headrest of the seat in front. I just tuck the flap of my phone case into the hutch and look Ma! No hands! The faithful Audio-Technica ANC9’s kept the engine noise at bay and I enjoyed a few episodes of The Big Bang Theory and bought myself nearly up to date. Everything went swimmingly, until the captain went on the PA to announce that we would be delayed in the air for 40 minutes due to bad weather at Melbourne, and we’d be flying slower at a lower altitude so we would get there when the weather had cleared. We were supposed to be there by 10:00am, but now we would be a total of about 65 minutes late. The approach in heavy weather was rather rocky, and the plane rolled side to side like a boat. It was a feeling that I haven’t felt before, but I was at ease, mainly because I had faith in engineering and faith in the pilots who managed a relatively smooth and uneventful landing, first time. The full force of the weather wasn’t felt until we disembarked on the tarmac stairs, where gale force winds made it difficult to walk in a straight line to the terminal, and dark ominous clouds were rolling in towards Melbourne. I promptly followed the signs, collected my baggage and continued along to my first challenge. Wanting to be as economic as possible, I resisted the temptation that was the “Skybus”, a $19 each-way bus that takes you directly from the airport to Southern Cross station in the city. A tiny bit of research is all that’s needed to understand that you could get from the airport to the city via regular public transport for AU$7.80 by obtaining a myki card and catching the 901 smartbus and changing at Broadmeadows station (Cragieburn line) for a train into the city. The first step was to obtain a myki. To my surprise, they had a myki machine within T4 terminal itself, and such machines don’t only process balance enquiries and top-ups, but also issue full fare cards. That was simple! 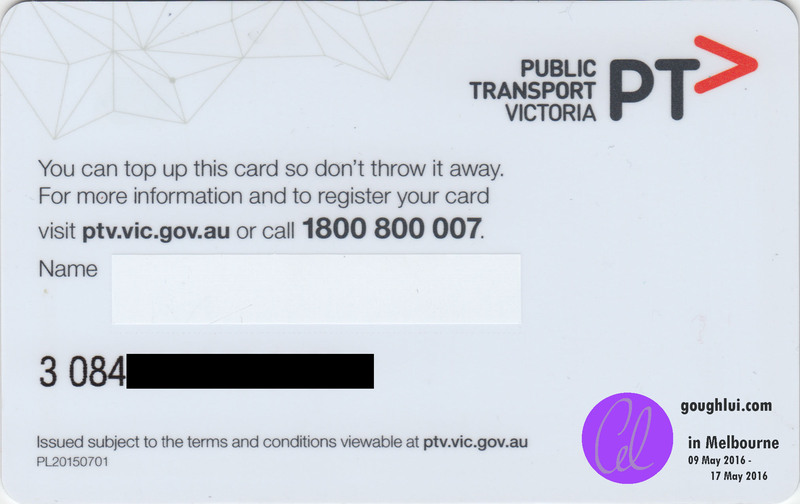 The card is a “new” unified design myki that is grey on the front regardless of entitlement type, unlike former myki cards. 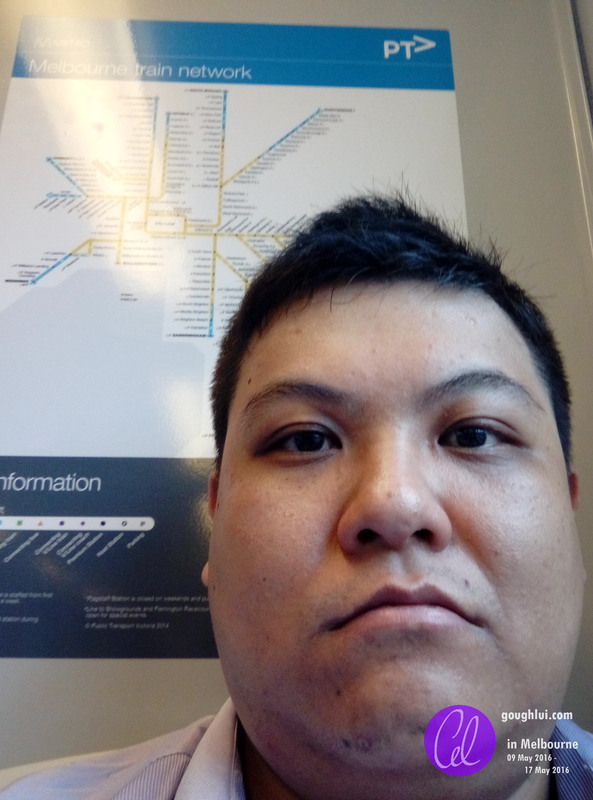 The card itself cost AU$6 which isn’t refundable, and the myki system has no provisions for short term single-fare style ticketing, which is unlike the Opal system where the reloadable cards have no “cost” associated to them, and single paper-chip tickets are available. Their fare structure is also different, with 2-hour “timed” fares, a daily cap, and myki “pass” weekly/periodical options as well. The rear of the card is very plain, with a card number, that strangely started with 3 084, whereas in Sydney, Opal cards I have start with 3085. What a coincidence. A redacted short-form log from TagInfo is provided in the Appendix (at the end of the post) which shows it is a MiFare DESFire card with registered application names and mostly secured files with different types, making full utilization of the various native types provided by the NFC card itself. There wouldn’t be as many queues for Skybus if it were so easy to catch the local public transport. 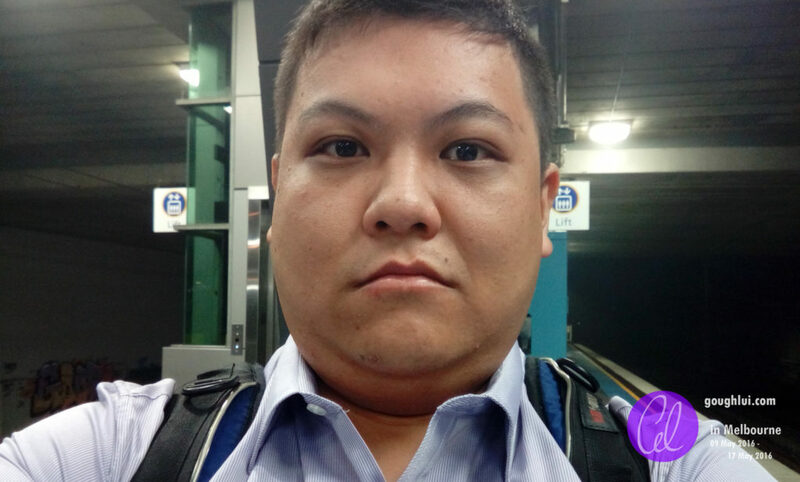 Indeed, things were not so easy, because the signage at the airport was terrible, with the supposed sign for local buses actually bringing you to just next to the Skybus where no local buses are to be found. 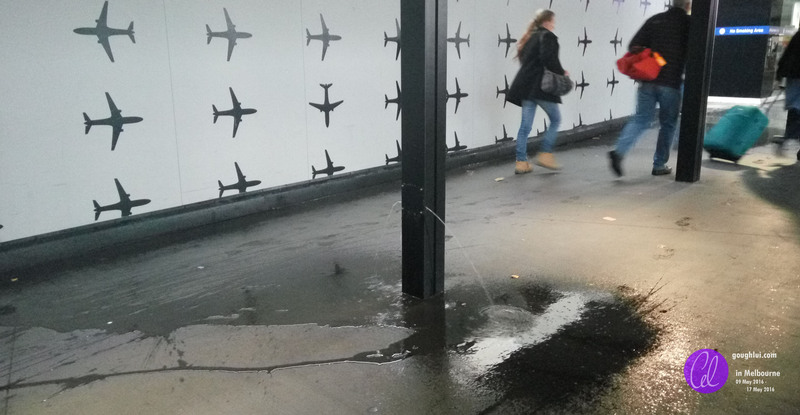 The worst part was that it was raining so hard that water was even coming out of places it wasn’t supposed to be. Ultimately, relying on Google Maps bought me close to the T4 carpark, where a security guard at the lower floor pointed me in the right direction. Mission success! The ride into the city this way did take a little longer – about 1 hour and 15 minutes, involving a bit of luggage pulling-up-a-ramp at Broadmeadows station, but it was all worth it. I managed to taste Melbourne public transport, and their SmartBus is great – the in-bus passenger stop indicators worked brilliantly, and were accurate with audible voice announcements. Why can’t we have that working in Sydney? The darned Metrobus announcements and displays aren’t working 80% of the time. Even better is the fact the bus drivers are happy to help, unlike some of the ones in Sydney. The trains were also an eye opener, as they run several different sorts of rolling stock but all are single deck and some still need manual opening of doors while others need a button push to “save the air-conditioning” like our light rail trains. Many platforms are like our light-rail stops and smaller stations with bitumen and wire-fencing, and nothing so grand as a fully sheltered and well lit platform until you really get near the CBD area. The announcements at Broadmeadows station came over the PA over a telephone link, with the horn speakers blaring the boop-beep-boop-beep Australian hang-up tone. It was new, and it was interesting to me anyhow. 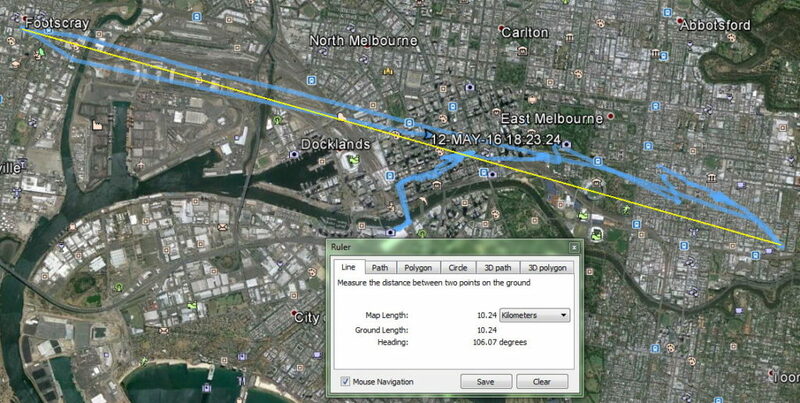 In all, I hopped off at Melbourne Central, had some lunch and pulled my bag about 1km to the hotel. Little did I know, had I checked the map carefully, it would have been about half the distance if I had gotten off at Flinders Street station. Something learnt for next time! The most important thing, and the entire reason for the trip, was the conference. 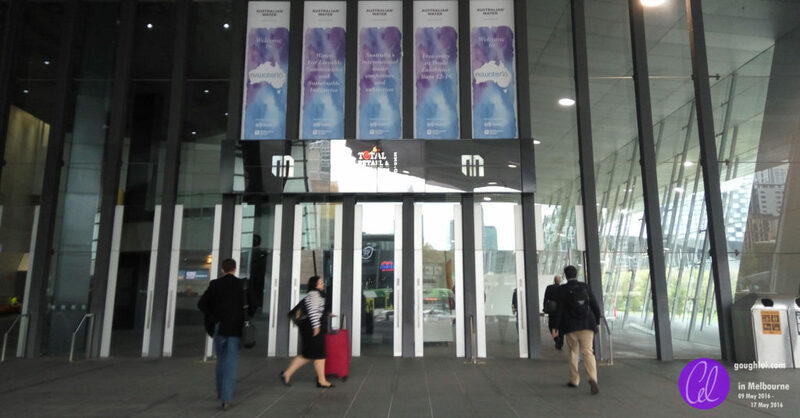 After checking into the hotel (early) and doing some rudimentary unpacking, the most important task was to get down to the Melbourne Convention and Exhibition Centre, complete my registration and do some speakers’ preparation in their specially assigned room, as I would be presenting the next day, which is the first official day of the conference. Luckily, a quick search led me to understand that there was a tram from just outside the hotel to the venue, to save me from walking. What I didn’t realize was that the venue, affectionately known as Jeff’s shed was so big. Our exhibition centre was nothing like this, and it was an effort to walk the full length to the other side just to collect my badge and complete the registration. Rather interesting is that they used the badge to record attendance by using the NFC capabilities of a smartphone to read the badge. 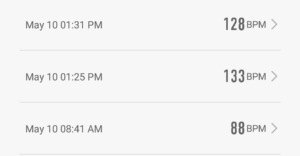 The actual badge data is mostly empty, but I suspect they use either the UID, the OTP bytes or just the first 8 bytes as an ID. By the time I had the registration sorted, I headed to the Speakers’ Prep room only to be told it was closed despite it being advertised as being opened at that range of times. As a result, I had to come back early next morning to do my prep. It was frustrating, but there was nothing I could do about it except for head back to the hotel and do some practice there. 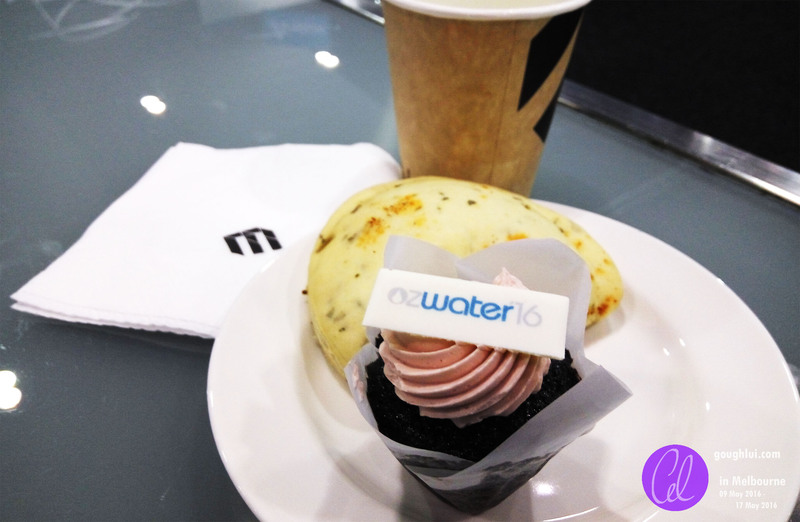 On the first day, I arrived early, and attended the opening ceremony and keynotes. I was suitably impressed by the impactful big-picture presentations, as I had very little knowledge when it came to the challenges facing the water industry locally and globally. 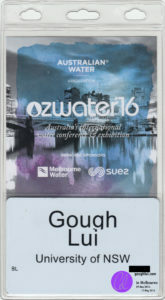 I enjoyed the insights, although I couldn’t help but feel a little out of place having never been at an OzWater before, and being an import to this area. The days were divided into streams with breaks in-between and something like six presentation and two workshop streams concurrently running. Unlike other conferences, this one was very much industry-related with a show-floor of exhibitors showing their products. That, in itself was quite eye opening. Morning tea and lunch were included. What I was really concerned about was the presentation, which happened just after lunch. I could tell myself that I wasn’t nervous, but that would only be lying. 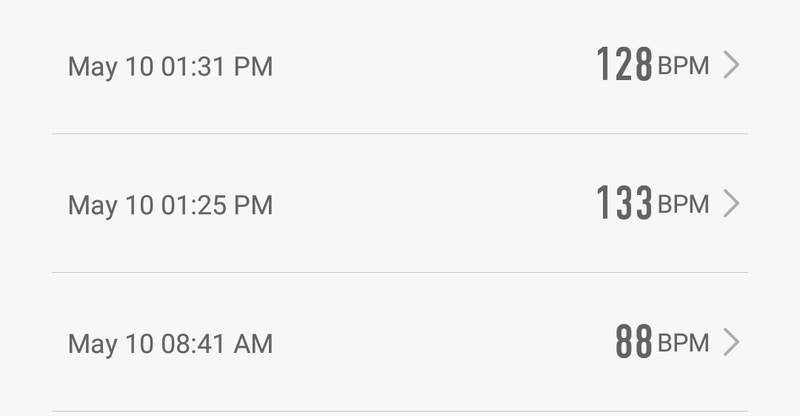 My Mi Band Pulse knew it all – 88bpm in the morning just before the keynotes, and about 130bpm just before I was called up to present. My beats don’t lie. In the end, I felt that the presentation was not quite well targeted to the audience. As they are mostly local industry members, they seemed more interested in solutions that could be deployed now to address immediate problems here, rather than research that could lead to solutions in the future to address water problems potentially elsewhere. That being said, I did receive high praise from the session chair who was quite interested and saw the potential in it, and I had earlier met with other representatives from UNSW and their friends who had also attended and were quite supportive. I ended up having quite a long chat to one of them about her project, which had some vague similarities to mine. Once that was over, I was so relieved. The rest of the days sailed by, and I started “mixing” between streams to get a sense of what is involved in operations and management, failure analysis, water management and water for regional and remote communities. It was fascinating to see some of the case studies which highlighted the criticality of water, and the unusual problems you might encounter, down to tribal culture, and permafrost making it impossible to install latrines and toilets. It was a great laugh, even if I did pass on the Gala dinner and Young Water Professionals events – I wouldn’t have had the energy to go. 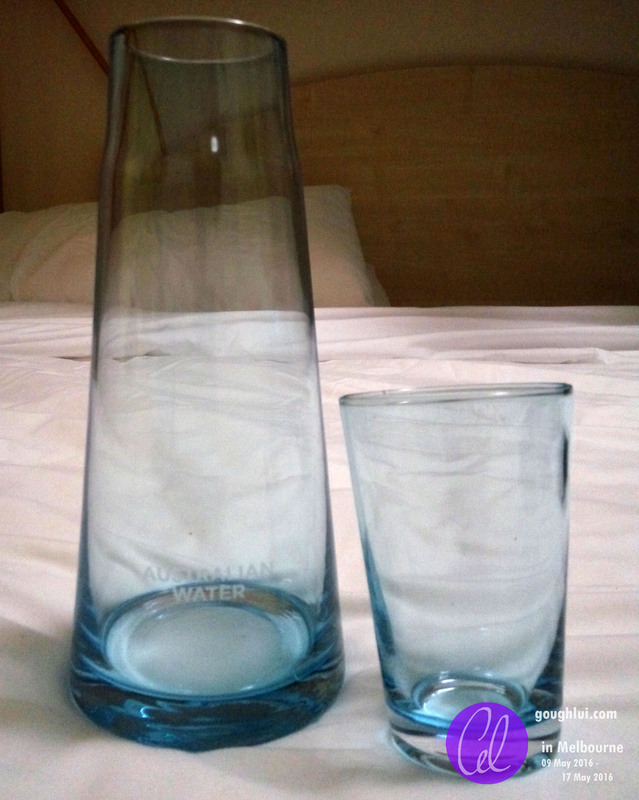 I did stay for the happy hour and had a good chat with the folks from Sydney Water, who made me feel welcome and I made a few new connections in the process. I also had the chance to discuss the state of UV disinfection technology with TrojanUV, which was quite eye opening. I ended up bringing home almost 3kg of brochures alone. In all, I was there for every hour of the conference because I found the presentations fascinating, and because I wanted to make the most of my time there. I even attended the closing ceremony in its entirety, before leaving with a sense of emptiness that “it was all over”. But this was to be the beginning of another chapter of fun – namely some exploration. On an unrelated note, on the last day of the conference, my Garmin eTrex 10 really had some sketchy positions recorded, as can happen with high sensitivity GPS receivers in tricky situations. The ends of the erroneous “walk” in positions spanned a whole 10.24km while insisting it was still locked, and the “true” path can still be seen in the data as the receiver settles down. As a result, it’s prudent to give the GPS some time when you’re talking about positions, as occasionally, a single position can be way off. Of course, being the person that I am, being at a gathering of people is also a chance to meet their devices. 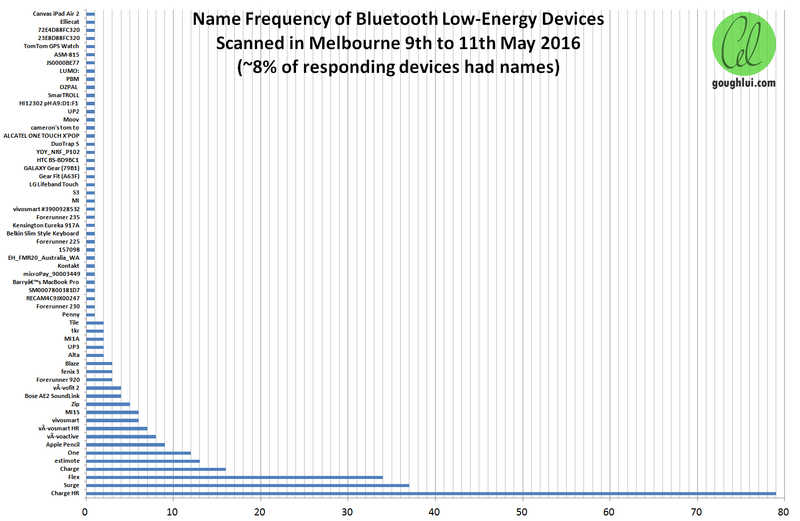 For one thing, I sat around with my phone scanning for Bluetooth Low-Energy devices to find out how many devices can be heard and what sort of devices are around. For two days, I had it scanning on the way to the conference, and at the conference while walking around and inside the sessions. Fitbits seem quite popular, mainly because they openly broadcast their name whereas some other fitness trackers probably don’t. There were also the Fitbit Blaze and Alta seen within the log. We also spotted 9 Apple Pencils, a handful of Garmin Vivofit/Vivosmart/Viviosmart HR/Forerunner/fenix devices under various names (as they appear to be reconfigurable). Jawbone’s efforts pale in comparison, with two UP3’s and a single UP2. A few other things popped up as well, including Galaxy Gear, Gear Fit, LG Lifeband Touch, TomTom GPS Watch, MI, MI1S, Tile, and HI12302 pH A9:D1:F1 (a Hanna Instruments Halo pH meter on demonstration on the show floor). As only 8% of the devices found had names returned, I decided to try taking things a little further by examining MAC addresses only. Using the OUI (first 3 bytes of the MAC) and a lookup, we resolved the OUIs and collected them by company name. Only 3.75% of MAC addresses found corresponded to OUIs, and this seems likely because of the age of the OUI database used. Fitbit, which we would expect to be at the top, was nowhere to be seen as a result. 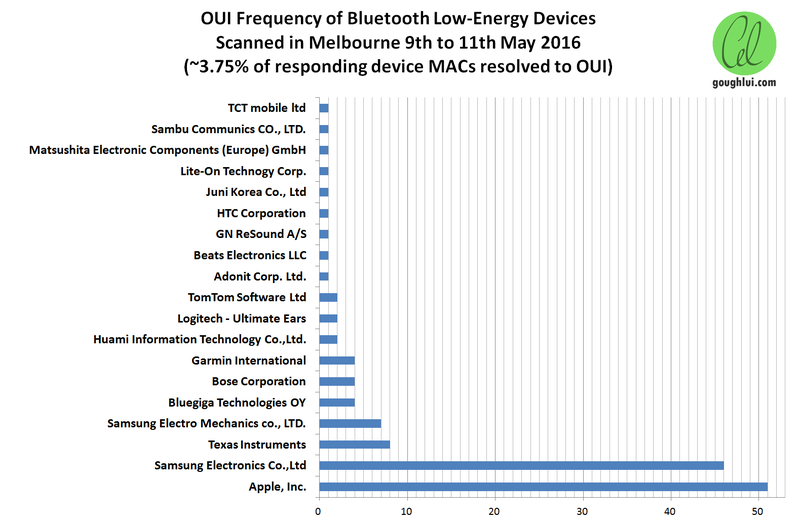 But it does suggest some of the devices returning no-names are indeed actually legitimate devices – about a half-half with Apple vs Samsung, and everything else being relatively insignificant by comparison. 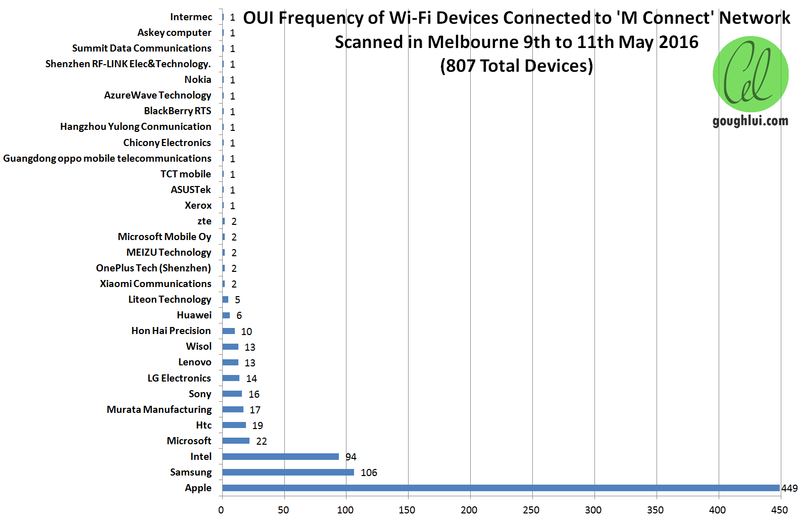 Rather surprising and disappointing to me was that Apple comprised over 50% of the devices connected to the network, showing their relative popularity. Samsung was a distant second, Intel third, and Microsoft an even more distant third. It was heartening to see representation from Xiaomi, OnePlus, Meizu, TCT and Oppo, all being Chinese phone manufacturers. I suspect this means that Fitbit wins the fitness tracking market, and Apple wins the wireless devices market … at least, at the conference. It’s not the result I would have liked, but it’s a result nonetheless. Fill me Up … with Food! While I was down there, I took the chance to have some food at some of their local (semi-randomly selected) restaurants. The first dinner was at Huxtaburger, having had some friends talk about it, I figured I should go myself. 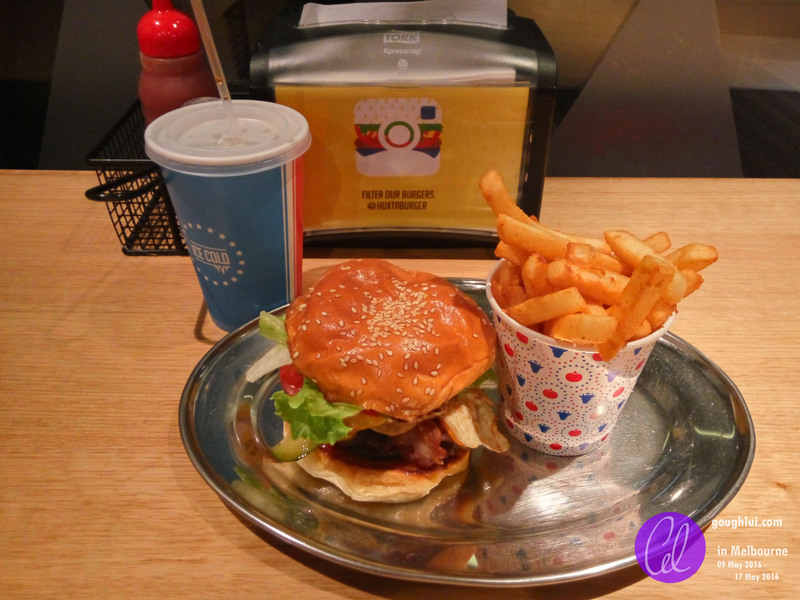 The interior decor was very much like an old American diner, and they prided themselves their burgers. I had a bills without the cheese. In all, it was a good burger, and the fries were excellent. I could already tell from walking by a few restaurants that Melbourne is very much more connected with food than Sydney is. The food seems to be made with more care, and just seems a bit nicer. The second night, I decided to stop in to the place next door, Henreitta’s Chicken. I’ve also heard of them, so I had a Pack 1 lit by a tealight candle in a mason jar and it was quite good. The chicken was perfectly cooked, and seasoned nicely. The salad was also quite interesting, with sultanas for a sweet contrast. 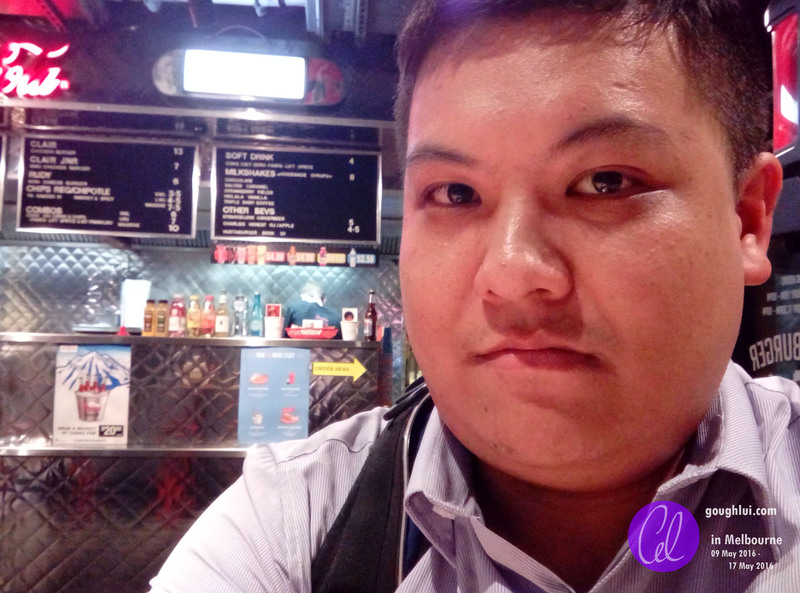 While there is heaps of good food in Melbourne, I am also very guilty of visiting the fast food chains, especially McDonalds, Hungry Jacks and Subway. It really boils down to convenience and opening hours – especially for an early morning breakfast prior to the conference, the 24/7 Maccas really hits the spot. The Subway next door sorts out dinner – especially on the long days where my ankles are tired and I really don’t feel like walking any further. Rather interestingly, while I had a positive experience with Maccas self-order machines in Sydney, I had entirely the opposite experience in Melbourne, breaking the same kiosk three days in a row. As it turns out, there is a printer error which the staff explained as “the thermal printer being mounted vertically inside the unit contrary to the manufacturer’s design expectations causing a paper jam”. Needless to say, after three consecutive days of having the machine screw up and needing to ask the counter staff to intervene to provide me a receipt, I decided to just order from the counter instead. 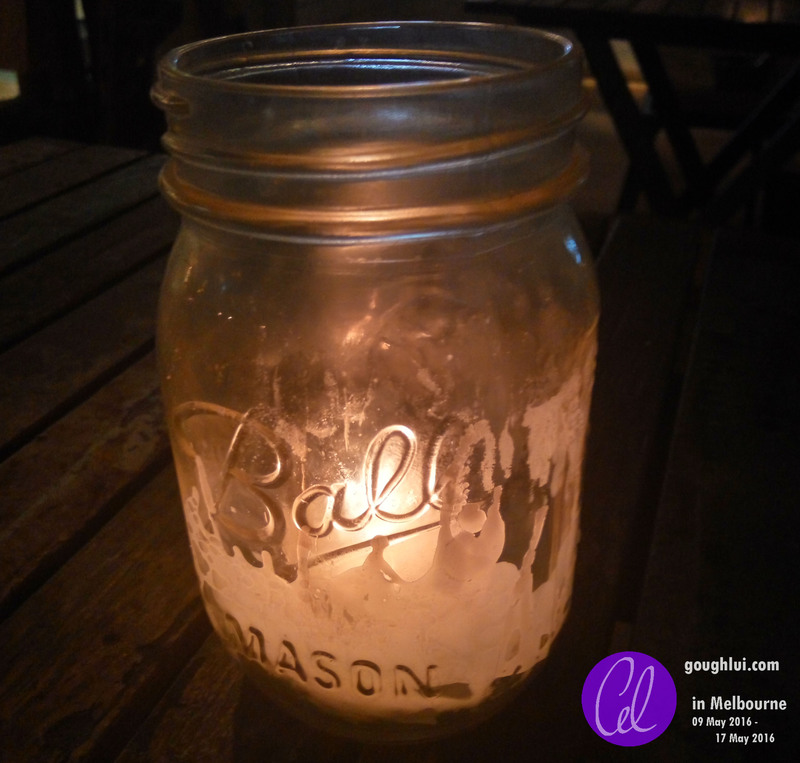 It was almost a month ago, but I’ve finally started to blog about my trip to Melbourne. The first post covers my time at OzWater’16 conference – the main reason for my trip. It was a very eye opening and enlightening experience to have been there, and I have made a few new friends as a result. 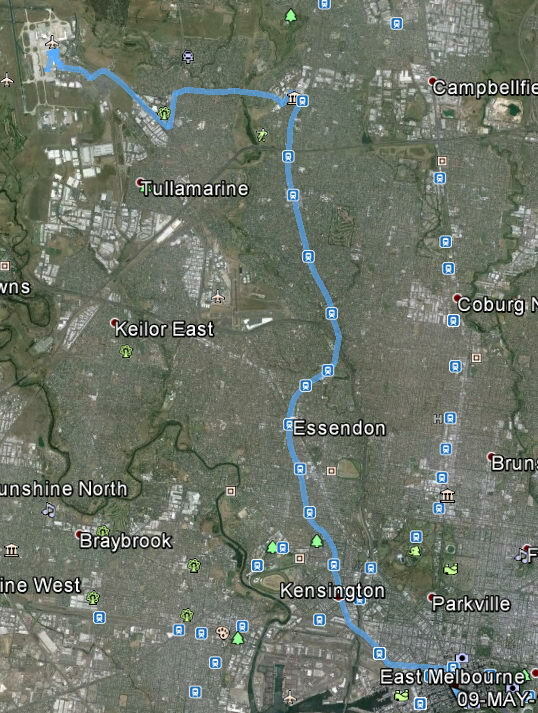 Now that it is over, I can begin to do some exploring of Melbourne, and generally more fun things. Stick around for the next part, where I start my adventures with a free walking tour. 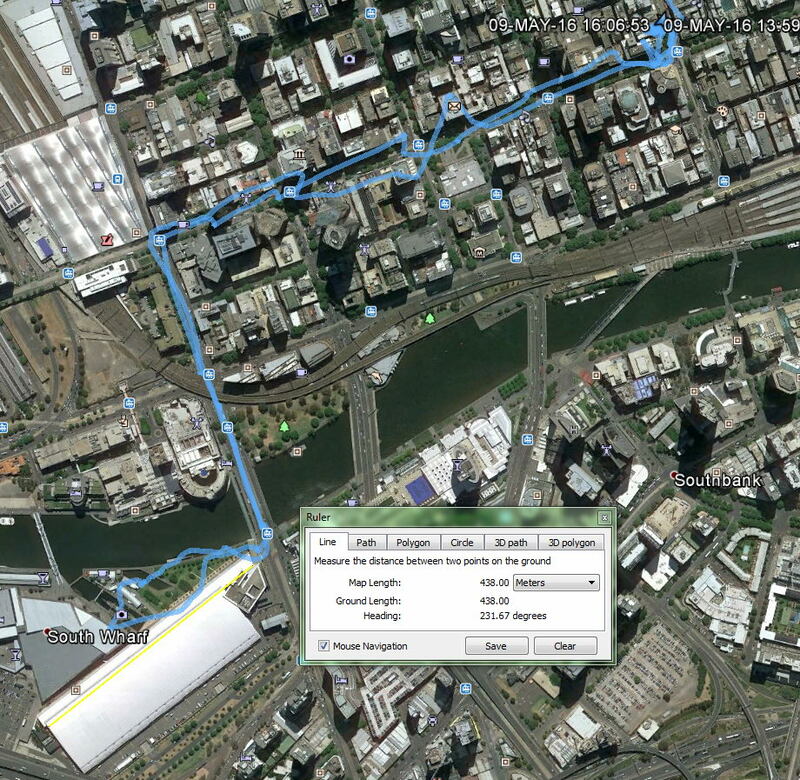 Here is the redacted card data dumps for the myki and the conference badge from NXPTaginfo on Android. 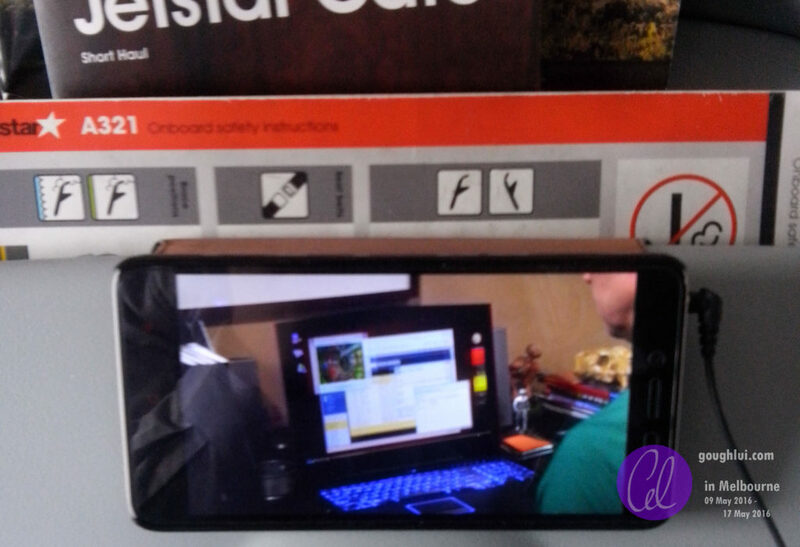 This entry was posted in Computing, Radio, Travel and tagged experiment, melb2016, radio, travel. Bookmark the permalink.